For those who are looking for a quick fix for their sweet tooth while still staying in the boundaries of Paleo, these recipes are perfect. 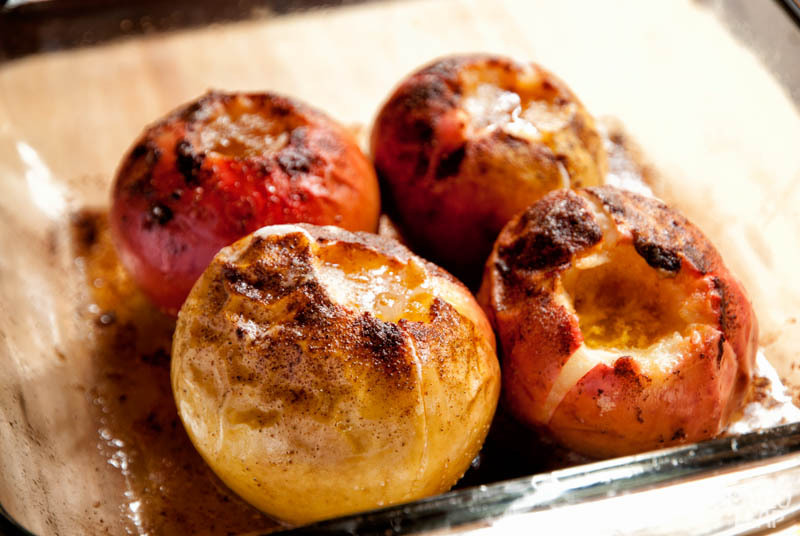 Baked or fried apples are so quick and easy to cook and make for a delicious Paleo dessert. Usually these recipes call for extra sugar, but I think the sweetness of the apples is more than enough and the cooking process brings the flavors of the natural sugars to the forefront. The butter also brings some extra richness and makes it more filling. Serve these with a big dollop of whipped cream or a splash of coconut milk. The hot butter mixing with the cold whipped cream or coconut milk creates a nice texture and balance. I think once you make them you won’t want to have apples any other way anymore. The two recipes are very similar and call for the same ingredients, but it’s up to you to find your preferred way of having them. Sprinkle with the cinnamon and nutmeg. Cut the apples in about 1/4″ slices. Put the butter in a hot pan and let it melt. Once hot, add the apple slices making sure they don’t overlap, make multiple batches if necessary. Sprinkle with cinnamon and nutmeg, cover and let cook until soft.